The authority of 21 Assam Rifles organized a picnic for special children of Ferrando Rehabilitation School of Tripura on November 14 to Neermahal and Udaipur on the occasion of Children’s Day. The picnic was organized as part of civic action programme of the Assam Rifles. The picnic witnessed participation of 64 students and accompanied by five teachers from the school. It was a day of fun and frolic for the children, who thoroughly enjoyed the scenic beauty of the lake palace in the middle of sprawling Rudra Sagar lake in Melaghar and the majestic grandeur of temples and religious structures and blue water lakes in Udaipur. The noble gesture and genuine endeavour of the 21 battalion of the Assam Rifles authority was well appreciated by the school authorities including teachers and students. In the days to come the 21 battalion of the Assam Rifles authority will organize many more such programmes for the students and people of Tripura. 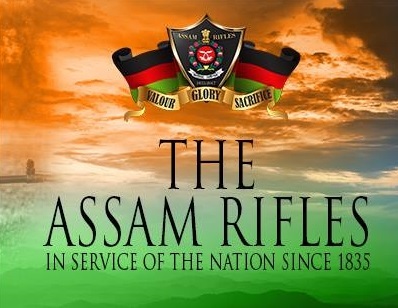 This was stated in a press release issued by the 21 battalion of the Assam Rifles.